Selecting the right dress for any occasion can be pain especially when we are not given proper briefing about what to expect at the event. Whether it is a black tie event or a casual get together, dressing inappropriately will make one stand out like sore thumb. The right mantra is not to over dress and not to under dress either. One has to have a bit of knowledge about the dress they are going to wear to these occasions as well as about the event itself. Sarees and osaris (Sri Lankan Kandyan sarees) are considered as formal wear in Sri Lanka. But here again there are umpteen types of Sarees that one needs to know which one to wear when. There are silk sarees, cotton sarees, fully embellished designer sarees, etc. one needs to know which saree to wear so as not to stand out like a beacon. Weddings and marriages are occasion of happiness, gaiety and love. This reflects well in the sarees chosen to wear by those conducting the marriage as well attending the marriage. Mostly richly embellished sarees are selected. The other alternative is the silk sarees with silver and gold design work. Auspicious colors like yellow, red, green and maroon is chosen over dull colours. Proper jewellery to be worn along with the saree includes gold and silver jewellery. Kandyan Saree is the traditional dress of Kandyan ladies and it signifies a royal & majestic personality. This art of dress is comprised of 7 Necklaces and 64 items of Jewellery wears. Presently it is the custom of many brides to dress in Kandyan sarees for their wedding. The best sarees to wear to office are simple cottons. 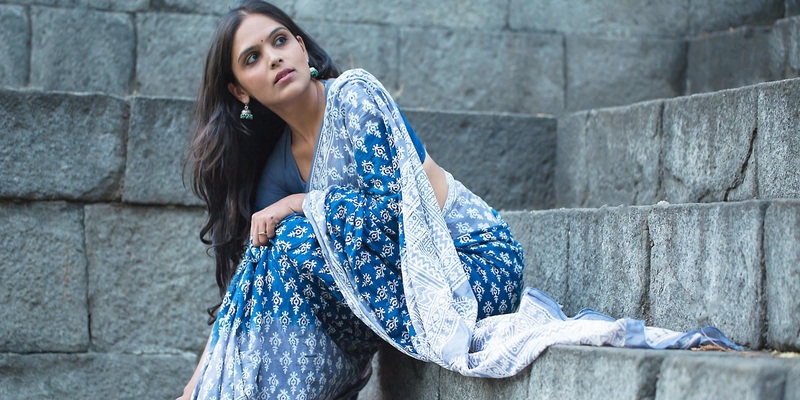 Printed cotton sarees for offices or any other formal event can have simple floral printed sarees and also the paisley prints look good and soft in such places. Sarees are meant to give sophisticated look, thus select printed sarees with delicate work on it. It look good to the viewer’s eyes and they wearer also feels encircled in a soft image. These parties are usually semi formal events. These are conducted basically for the ladies to get together and have a quality time. Here the main topic would be the latest fashion apart from gossips and household activities. So it would be best to wear your best saree to these occasions. Here the confidence and the attitude speak a lot along with the saree you are in. So select a saree that you are comfortable wearing and you are not conscious about wearing one. One can experiment with various neck lines and sleeve lengths of blouse as this is semi formal. Evening wear sarees are the most casual of the whole lot. Here one can select any type of saree that looks nice or one is comfortable wearing. But the secret is to keep it simple. One shouldn’t wear a heavily embellished saree or a heavy traditional silk saree. A light fabric saree will be the best choice.